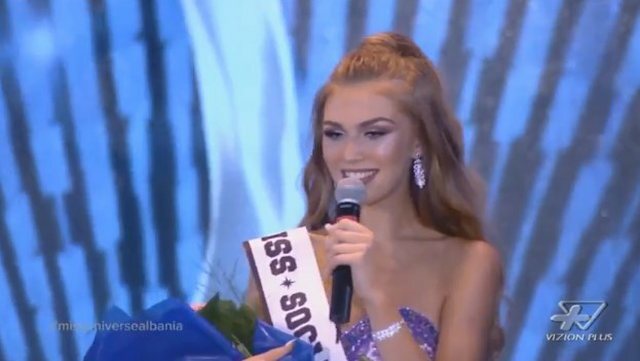 18 year old model from Elbasan, Trejsi Sejdini was crowned Miss Universe Albania 2018 held on June 6 at the Pallati i Kongreseve in Tirana. Trejsi was also received Miss Social Media award. She will now represent Albania in Miss Universe 2018 later this year. 1st run-up place went to Irene Dama, while Ajli Hoxhaj finished as the 2nd run-up. Completing the top 6 finalists were Belinda Dragoti, Enxhi Hida and Anisa Metuku. The special awards went to Altea Noka (Miss Bikini), Anisa Metuku (Miss Elegance) and Xhesi Prendi (Miss Photogenic).